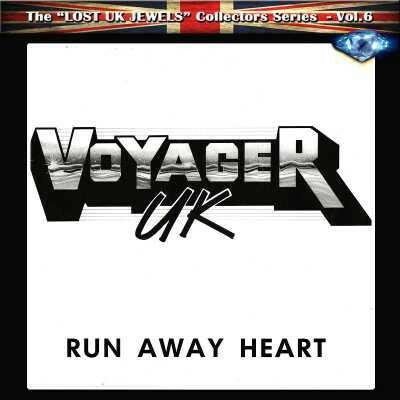 Volume six in the series 'Lost U.K. Jewels' brings us more singles, b-sides and demos from another fairly obscure U.K. act, the sadly underrated Voyager U.K. from Yorkshire. Formed in 1986 by Verity keyboard player Andy Wells and Rhabstallion guitarist Dave Thompson, the earliest recordings here feature Wells on lead vocals, but it was the arrival of singer Ivan Markovic later that year that was the catalyst for some pretty classy U.K. AOR. 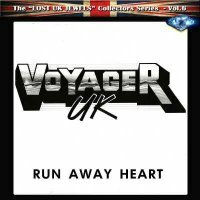 The band took the rather unusual step of releasing a single before they were even a proper band, with both the A-side 'Run Away Heart' and flipside 'Don't Hold Back' being prime examples of punchy Melodic Rock with bags of enthusiasm, even today they still knock you out with their sheer tunefulness and exuberance. Markovic was a great find and could turn a good song into something ever so special, so it's actually a crime that he didn't go on to join a successful band at a time when great U.K. singers were at a premium. The upbeat 'Rocktasia' and sugar coated 'This Time' are excellent demos from 1987, but for me it's 1989's 'Razor's Edge' that takes top honours here with its cutting guitars, urgent rhythm section and perfect keys, with Markovic soaring over it all. Andy Wells sings a trio of tracks in the middle, from the impressive '(Can't Live) Without Your Love' (sadly the weakest track sonically, along with the killer power ballad 'Dreams'), whilst 'Believe In Me' and 'Cruel World' display a little more restraint and a West Coast groove. Chronologically the last tracks from 1989 feature one Robin Patchett on bass, with whom guitarist Thompson would go on to form Lost Weekend and release several well-respected Melodic Rock albums thus far. The disc ends with four tracks recorded by Tony Wilson for Tommy Vance's BBC Friday Rock Show in 1987, the Pompy 'Line Of Fire' and the lively 'Rock This Town' joining 'Razor's Edge' and 'Don't Hold Back' in a nationwide showcase that makes you wonder how some bands got record deals and the likes of Voyager U.K. didn't. The sound quality of this disc is again variable through the different budgets and source materials, but the best stuff still sounds great and this is an essential item for those with an interest in bands like Grand Prix, Shy and Bronz. There's talk of a reunion too, so maybe it isn't too late for that record deal.